Alvaro Morata proves that he offers Chelsea much more than Romelu Lukaku ever would. 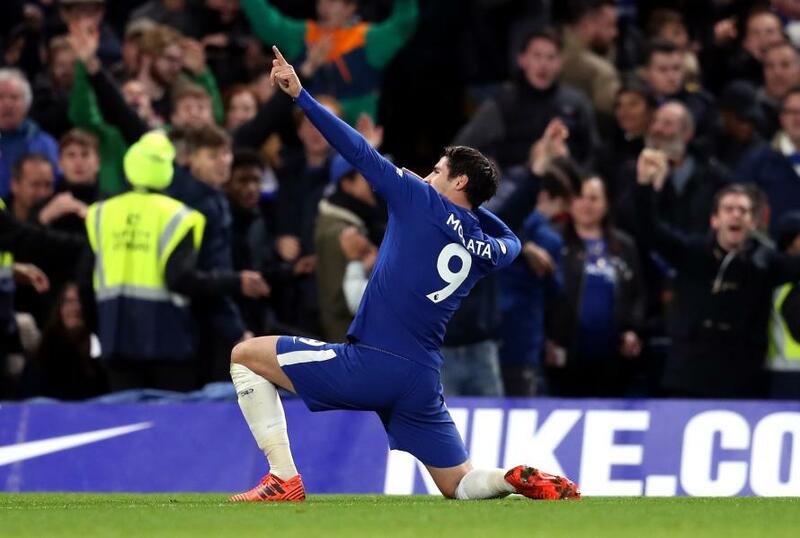 Not only was Alvaro Morata the match-winner on Sunday, he delivered a performance leading the line as our number nine that proves he is far better suited to Chelsea than Romelu Lukaku ever would be. The game was billed as the coming together of two title rivals, of Conte vs Mourinho and of a battle between two strikers touted by both clubs in the summer. What did we take away from the game? Alvaro Morata delivered and Romelu Lukaku never turned up! In my view Alvaro Morata has not received the plaudits he deserves for his performance as much as he should have. He was outstanding, led the line exactly as a Chelsea striker should and scored a fantastic header to win us the game. "When we talk about Morata this is the first season that he’s playing regularly. In the previous seasons, he never played regularly. Now, for sure, he has to try to work, to improve. Before the injury, he was playing in a fantastic way. Then after injury, he’s form dropped. It wasn’t good enough. But now, to play and to work is improving and tonight I think he played a really good game against three central defenders who are strong physically and proved he’s strong physically. If I have to find a negative, he could score more goals and be more clinical – but step by step." - Source: Metro. Very open and honest from Conte and he was right, after his injury it has taken Morata some time to get back to how he started the season. Now, as we witnessed on Sunday, he is back! So what of the statement I have made in the title of this blog post? 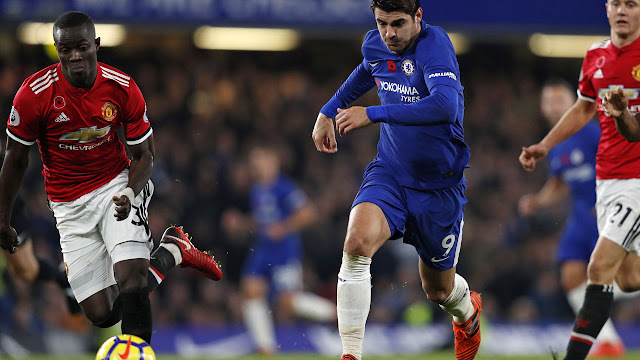 Let's face it, the two strikers became the focus of the summer with Mourinho having made Morata his number one target and Conte making his Lukaku. As we know, it worked out the opposite for both managers and I couldn't be happier with the signing we have made in Morata. Think back over the last decade or so and to the Didier Drogba when he first came to Chelsea. After a couple of seasons, he evolved to become the all-conquering, powerful striker that led our front line and the team itself evolved with him. The team became built around him as the focal point up top, they knew when to play him the ball, where he wanted it and became a perfect match. Through the years our playing style never changed, as players came and left, they were integrated into the mentality and the tactical framework that formed the basis of the most successful period in Chelsea's history. As Didier Drogba left our club, we wondered how on earth we could ever replace someone that played the way he did and someone that had such an impact on the team. Along came Diego Costa! It was a seamless transition in my view as Costa stepped straight into the role vacated by Drogba. He could do it all whether it was hold the ball up, he could bully defenders, he could beat them in the air and he could take them on at will. Most importantly of all, he gave the Chelsea team the focal point up front that we had built the team and all of our success around. 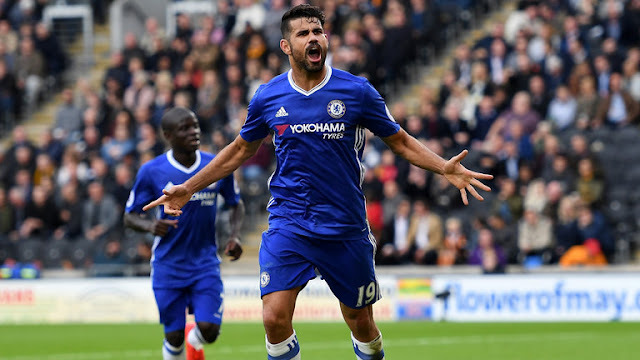 For two of three seasons Costa was untouchable scoring goals and giving everything for the team by playing the way the team required him to. He became like Drogba - a match winner. Now Alvaro Morata has arrived as Costa left us and he has taken on the mantle of being that man, being that focal point up front and when required, being the match-winner we need. He is still only 24 and as Antonio Conte says, he has room to grow, room to improve and to become stronger. Despite that, he has shown time and time again that he can cope with the demands of the Premier League, he can deal with the physical contact you have to live with here - he doesn't shy away from it. His technical ability is excellent, he has an abundance of skill and has already struck an understanding with his teammates - more importantly with Eden Hazard which excites me. Let's also not forget the link he has with Cesar Azpilicueta which has led to five goals and five assists so far! He takes people on, he holds the ball up, he works his arse off, he has fantastic movement off of the ball and he scores goals. He is the complete striker and will finally put an end to this so-called cursed number nine shirt. 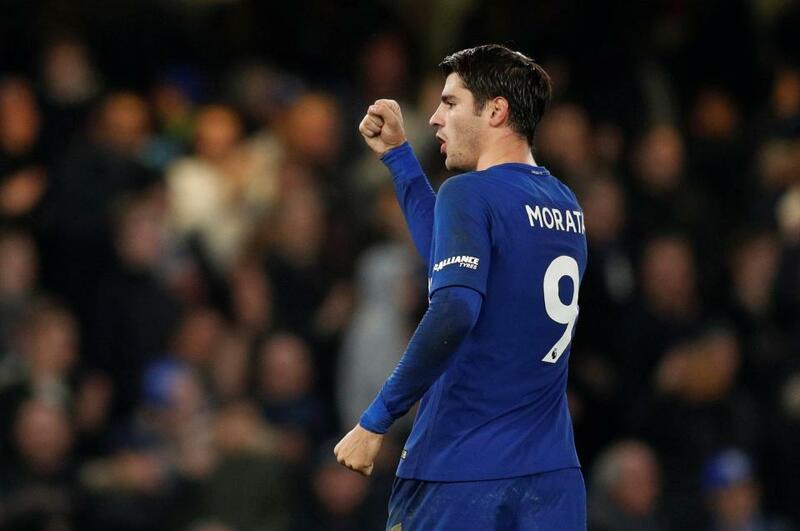 Alvaro Morata - the man that offers Chelsea so much more as a focal point up front than Romelu Lukaku ever would!